Top Ten Tuesday recently did a day of "most recent books on the TBR." I missed it then, so I'm jumping in now! I'm really excited about all of these books, as you might imagine. What have you read and loved? Disliked? Let me know! All quoted blurbs are from Goodreads. 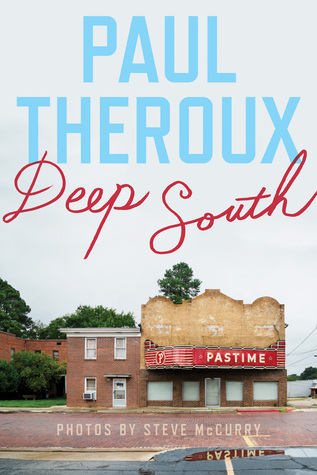 Deep South, by Paul Theroux, is the author's tenth travel book, and while he's crossed the globe any number of times, this volume focuses on the southern US. "He finds there a paradoxical place, full of incomparable music, unparalleled cuisine, and yet also some of the nation’s worst schools, housing, and unemployment rates. It’s these parts of the South, so often ignored, that have caught Theroux’s keen traveler’s eye." 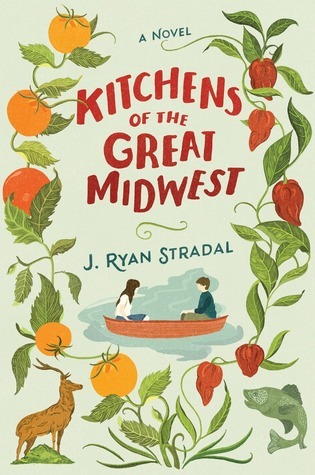 Kitchens of the Great Midwest, by J. Ryan Stradal, is about something food-related, and it has a gorgeous cover. I'm just that shallow. 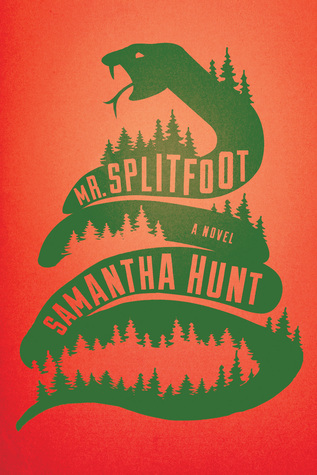 Mr. Splitfoot, by Samantha Hunt, sounds creeeeepy! "In an ingeniously structured dual narrative, two separate timelines move toward the same point of crisis. Their merging will upend and reinvent the whole. A subversive ghost story that is carefully plotted and elegantly constructed." 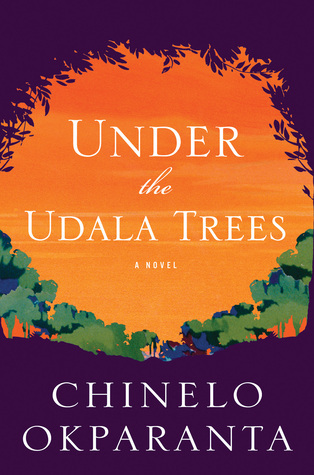 Under the Udala Trees, by Chinelo Okparanta, sounds moving and amazing. "Ijeoma comes of age as her nation does; born before independence, she is eleven when civil war breaks out in the young republic of Nigeria. Sent away to safety, she meets another displaced child and they, star-crossed, fall in love. They are from different ethnic communities. They are also both girls. When their love is discovered, Ijeoma learns that she will have to hide this part of herself. But there is a cost to living inside a lie." 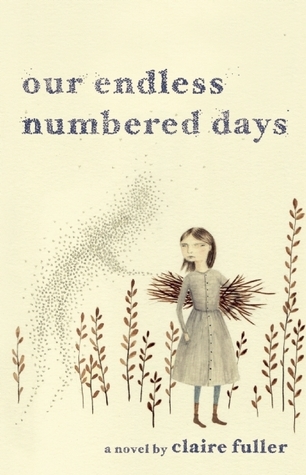 Our Endless Numbered Days, by Claire Fuller, is a book that grabbed my attention after several positive reviews from trusted bloggers. "Peggy Hillcoat is eight years old when her survivalist father, James, takes her from their home in London to a remote hut in the woods and tells her that the rest of the world has been destroyed. When Peggy finds a pair of boots in the forest and begins a search for their owner, she unwittingly begins to unravel the series of events that brought her there." Between the World and Me, by Ta-Nehisi Coates, is the only book here that I've already started, and I can assure you it won't take me long to read it. I'm completely immersed. "In a profound work that pivots from the biggest questions about American history and ideals to the most intimate concerns of a father for his son, Ta-Nehisi Coates offers a powerful new framework for understanding our nation’s history and current crisis. Americans have built an empire on the idea of “race,” a falsehood that damages us all but falls most heavily on the bodies of black women and men." 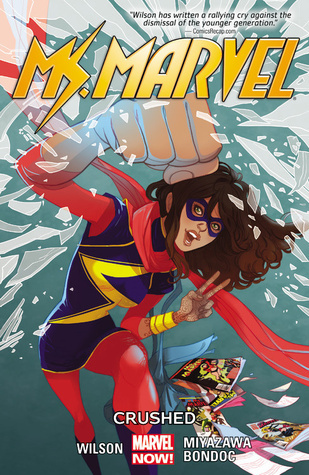 Ms. Marvel Volume 3: Crushed, by G. Willow Wilson, Takeshi Miyazawa, and Elmo Bondoc. How could I skip this one when I loved the first two so much? "Love is in the air in Jersey City as Valentine’s Day arrives! Kamala Khan may not be allowed to go to the school dance, but Ms. Marvel is! Well sort of — by crashing it in an attempt to capture Asgard’s most annoying trickster!" Whipping Girl: A Transsexual Woman on Sexism and the Scapegoating of Feminity, by Julia Serano, was one of many gender reading recommendations from Cass. You can find the full list here. "A provocative manifesto, Whipping Girl tells the powerful story of Julia Serano, a transsexual woman whose supremely intelligent writing reflects her diverse background as a lesbian transgender activist and professional biologist. 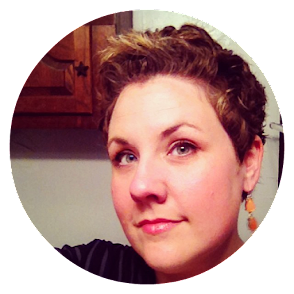 Serano shares her experiences and observations—both pre- and post-transition—to reveal the ways in which fear, suspicion, and dismissiveness toward femininity shape our societal attitudes toward trans women, as well as gender and sexuality as a whole." 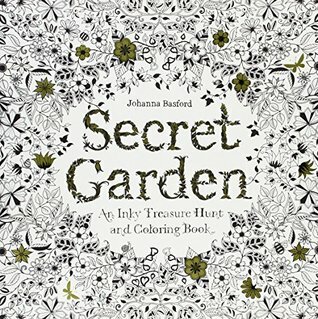 Secret Garden: An Inky Treasure Hunt and Coloring Book, by Johanna Basford. The best coloring book ever. I'm so glad to know you loved Endless Numbered Days. I'm eyeballing it, so if the first few pages grab me, it might be my next read when I finish one of the two books I have going on now. I'd say the Secret Garden coloring book is loosely based on The Secret Garden. It's a lot of gardeny coloring pages with some locked doors and whatnot. I bought The Secret Garden for my daughter last year, but ended up coloring more pages than she has! Ha! It is such a great coloring book. I love the paper quality, the coloring pages, everything. I've heard rumblings of Mr. Splitfoot, and it sounds weird, and I've been into that lately. I also picked up Between the World and Me and am hoping to get through it this weekend. I don't want to read it after work when I tired, I want to read it slowly and carefully, so definitely a weekend project. Definitely sounds weird, but also kinda my jam lately. It takes a bit to keep my attention. Between the World and Me is freaking amazing so far, I'm just bummed I haven't had more time to read this week. I know what you mean. It does call for slowing down and mulling it over while reading. I haven't read any of those but really want to read Between the World and Me. Deep South has my attention as well. Between the World and Me is so great so far. I'm chomping at the bit to get to Deep South. I'm interested in Deep South. I read some of Theroux's books years ago - maybe one about a train trip through China or something. I'm vague on the details. Must have liked it because it was non-fic that is not my preferred type of read. I'm curious if he includes Texas in the Deep South - probably not. Most people don't. Probably not re: Texas, but I wish! I've never read any of his work, but I did read his son's book, The Call of the Weird, and it was pretty entertaining. I need to pick up a copy of Deep South - Therox is so good at critically approaching travel destinations - admiring the unique and wonderful things about a place while dealing with how to interact with the uncomfortable realities as well. I picked up Kitchens of the Great Midwest at BEA for the same reasons - cute cover, about food. I really enjoyed it - it's a great read. And I just finished Between the World and Me and it blew me away. So good. That's great to know re: Theroux. I knew there must be something to his writing since I've seen quite a few good reviews of his other books, and his reputation precedes him. I've only read his son's work, so I'm looking forward to trying this one out. Glad to know you enjoyed both Kitchens of the Great Midwest and Between the World and Me! I can't wait to finish Between the World this weekend. I read and loved a few of Theroux's books in college, but I'm curious about how I'll feel about his "crotchety white dude traveling" thing now :P I picked up a copy of Deep South at BEA, so I'm excited to find out! Our Endless Numbered Days is fantastic, and I'm also dying to read Between the World and Me and Ms Marvel. You have some great reading ahead of you! Yeahhh, I'm keeping that in mind going into this one. Should be telling. Between the World and Me is SO GOOD, and I'm only like 70 pages in. I am almost done with Kitchens and it's great. Lots of fun. Different. Awesome! I love different and fun. I neeeeed different and fun right now. I've seen a few good reports about Under the Udala Trees, and Between the World and Me has really gotten a lot of hype. I haven't seen the reviews, yet but those I now are reading it are loving it. I'm glad to hear it, Kathy! I haven't seen much on Under the Udala Trees yet, but it just sounded too good to pass up. Between the World and Me, the part I've read so far, is absolutely worth the hype. Between the World and Me is a must-read so far. Absolutely a great book. Muppet arms indeed! OH, I almost forgot about Our Endless Numbered Days! I do want to read that one! And isn't the cover great? Nice additions! I am looking forward to Kitchens from my library at the end of the month. And the coloring book craze is starting to get to me. I think I'll have to pick one up. :) But my coloring skills are throwback 80's. You know, outline in a marker and fill in with a colored pencil? That's me. I still haven't read Our Endless Numbered Days. We both clearly don't have our priorities straight here.